This week I am on a roll, finishing pages for my "heritage" album. This album is not just old photos of my family, but also contains newer family portraits, so they are all together. From my stash, I used the collection "The Sweetest Thing" from My Minds Eye. 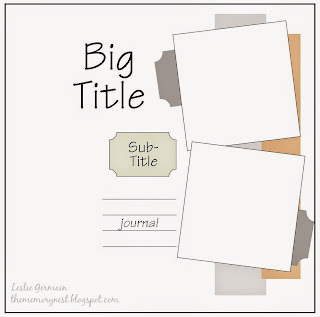 The title, journaling block and the parentheses chipboard pieces were the only things not from the collection, along with the cream paper for the background. This layout is of my niece and her husband's wedding from just seven years ago, but it is a must addition for the family album. I thought the soft blue, flowered paper was a perfect choice for wedding photos. 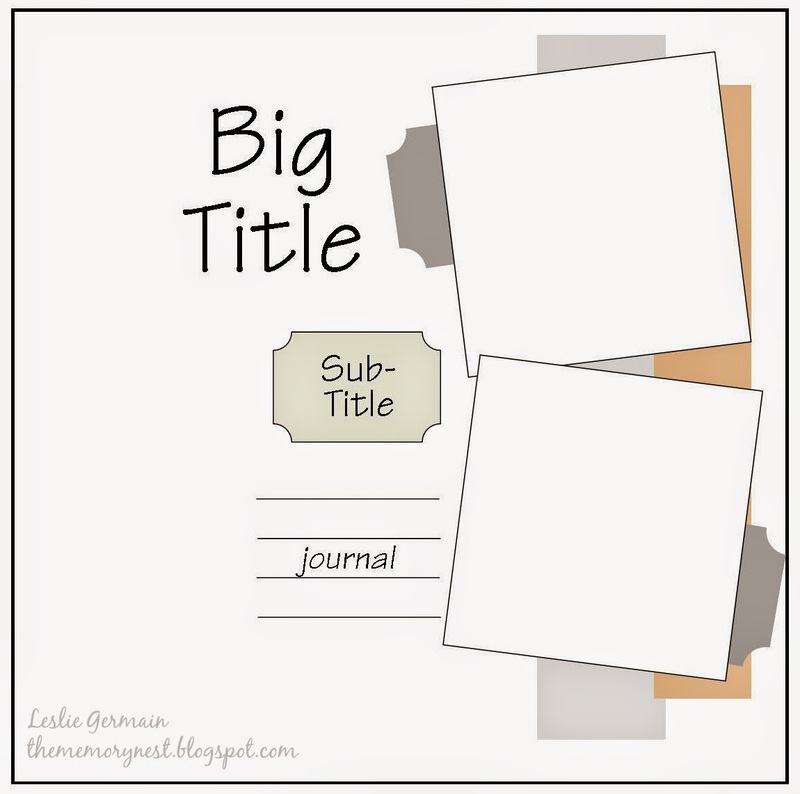 You still have time to complete your own layout using this sketch from The Memory Nest! Beautiful photos and set off perfectly by your choice of paper and embellishments. Love how you've used the sketch for this fabulous page. Thanks for sharing at The Memory Nest. This is gorgeous! I have that HAPPY-I need to use that! I really like how you used the 2 smaller pics underneath! Thanks for playing along with us at THE MEMORY NEST! Super Sweet layout! The colors are fantastic! Great take on the sketch - LOVE IT! Thanks for playing along with us at tMN!